(1875-1946) Dixon was born on a ranch near Fresno, CA in 1875. As a boy he listened with fascination to the stories of the Old West told by the old timers. Cowboys and Indians were to become the main subject matter of his life's work. 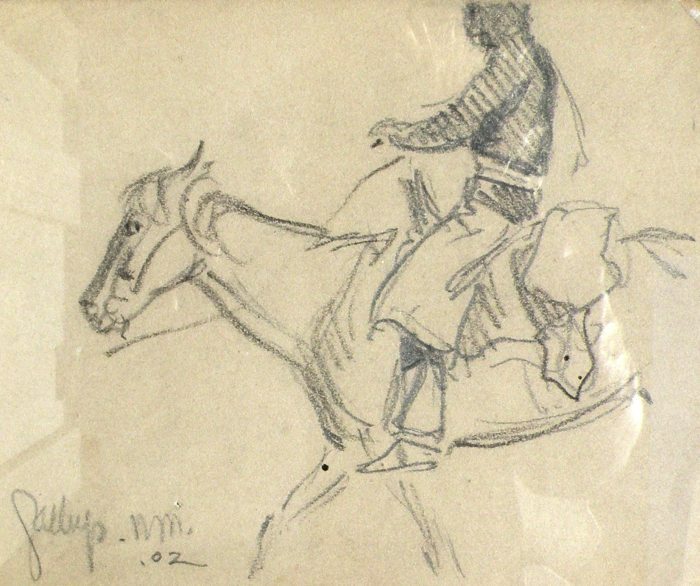 At 16 he sent his sketchbook to Frederic Remington who encouraged him to pursue an art career. The Dixon family moved to Alameda, CA in 1893, the year the artist's first illustration was published in Overland Monthly In 1895 he took his first full-time job as an illustrator for the San Francisco Morning Call and continued four years later with the Examiner. 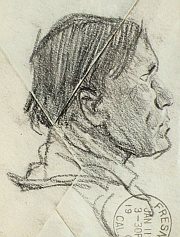 By 1899 he was making regular sketching trips into the Northwest and Southwest, during which time he was exhibiting regularly with the San Francisco Art Association. In 1905 he married artist Lillian West Tobey. A year later the earthquake and fire destroyed his studio and most of his early works. The Dixons then lived across the Golden Gate in Sausalito until 1907. During the Pan Pacific International Expo of 1915 he suffered a nervous breakdown and divorced his wife in 1917. He married photographer Dorothea Lange in 1920. This marriage lasted until 1935 and in 1937 he married artist Edith Hamlin.. In 1938 ill health forced his move to the drier climate of Arizona where he spent his last years while maintaining a studio nearby in Mt. Carmel, UT. Dixon died in Tucson in 1946. Works held: De Young Museum; Calif. Historical Society; Member: Salmagundi Club; Bohemian Club.